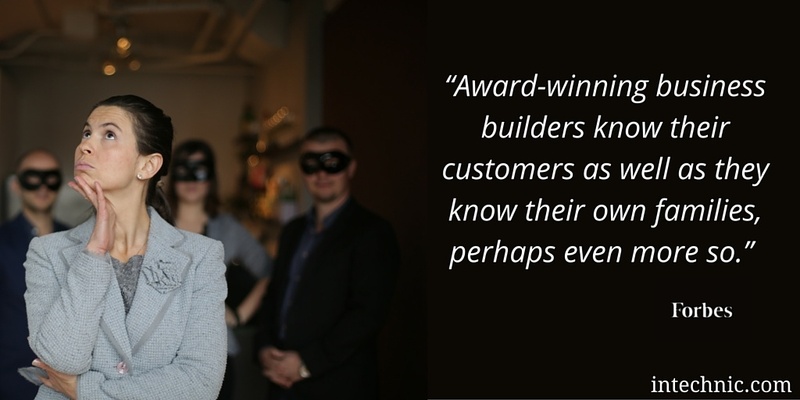 When it comes down to it, it doesn’t matter how well you think you know your customers. You are not your customer so, when it comes to your marketing strategy, your opinions could take you in the wrong direction. 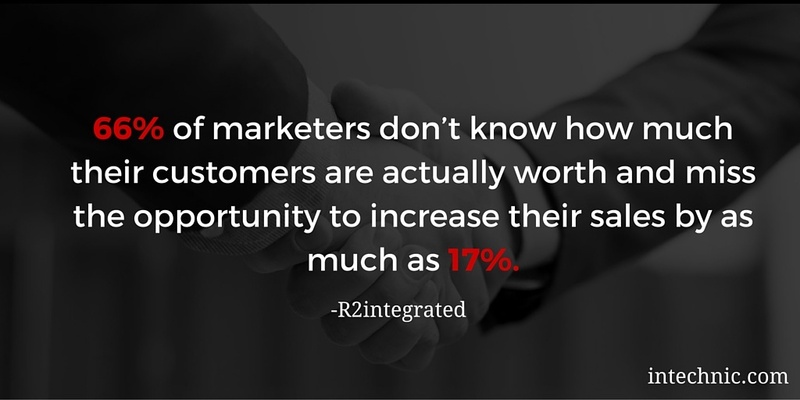 Marketers often make the mistake of assuming they know what their customers want as opposed to asking them what they actually want. Designing your website based on these assumptions as opposed to facts will be ineffective, wasteful and result in a website that is designed for you and not for your customers. If you want your website to succeed in attracting more customers, the opinions of non-customers must be removed from the equation. It’s your website users — not you — who will determine the success or failure of your website. 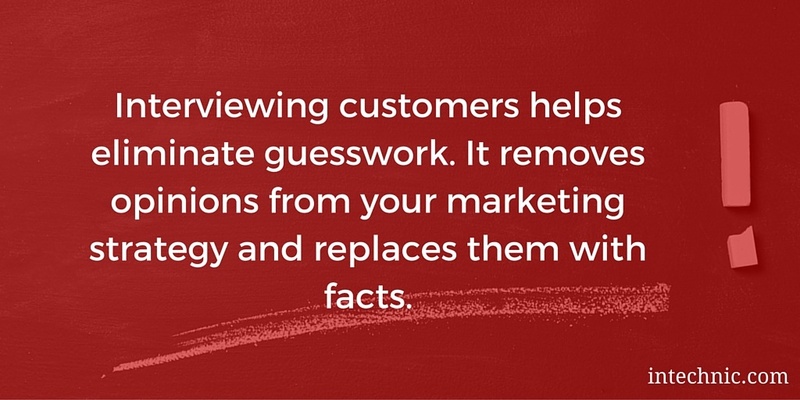 Interviewing customers helps eliminate guesswork. It removes opinions from your marketing strategy and replaces them with facts. Conducting user interviews is the only sure way to fully understand your customers' objectives and needs: the problems and frustrations they experience, how they go about looking for solutions, the criteria they use and the process they follow to make buying decisions. Note: "User interviews" is the industry term for interviewing people who use your website. When it comes to marketing goals for your website, you aim for these users to become customers. 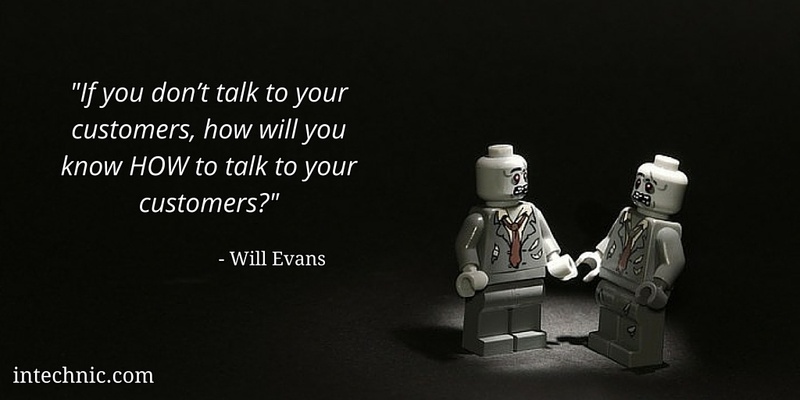 To accomplish that, your user interviews need to incorporate your customers. I will be referring to 'customers' and 'users' interchangeably throughout the article. If you’re beginning or even considering a website redesign, interviewing users early in the process is paramount. 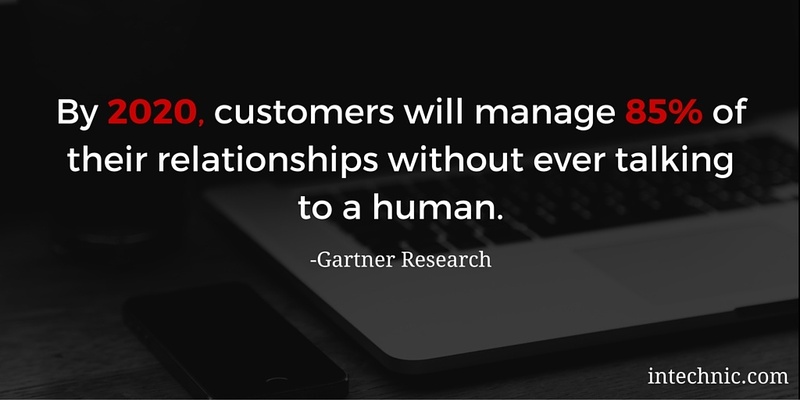 Gartner Research asserts that, by 2020, customers will manage 85% of their relationships without ever talking to a human. Therefore, your online presence and, more specifically, your website will be at the forefront of all communication with potential customers. 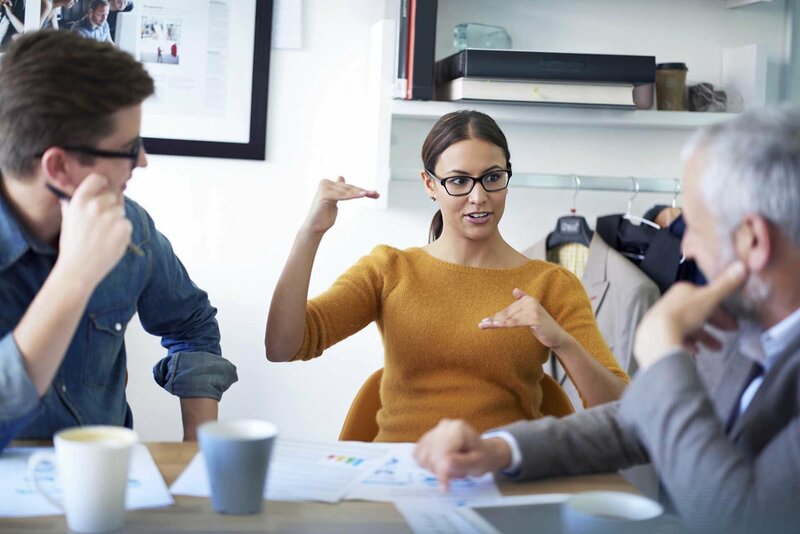 By conducting interviews, you can ensure that your website is designed and built with your customers in mind, addressing needs and wants that have been voiced by actual users. I always recommend hiring an unbiased third party to conduct customer interviews. However, if you are determined to do it in-house, make sure to read my Best Customer Interview Tips and Techniques from a User Interview Expert article prior to scheduling. The rest of this article will walk you through the whole process: from selecting who to interview to properly recording your answers. I have also included a free user interview questions template that we use at Intechnic when conducting website user research. This template will not only help you keep track of your interview notes, it will also help you prepare for your next steps in developing a successful website design strategy. To kick off your user interview process, you must first determine whom you need to interview. This will largely depend on your website's business objectives. For example, if your website's objective is to generate more leads, you should focus on bringing in quality leads, not just any leads. 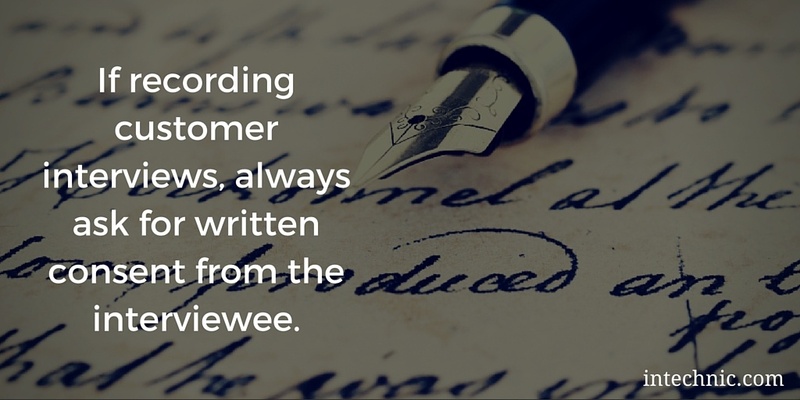 Therefore, you should aim to interview and understand your best customers. We at Intechnic call these High Value Customers. or “HVCs”. These are your most profitable, most loyal customers with the smallest attrition rate, lowest acquisition cost and highest lifetime value. If you have not yet identified HVCs, read our article, How to Calculate Your Customer Lifetime Value (CLV) & Identify Your High Value Customers. This will help you find ideal candidates to interview. 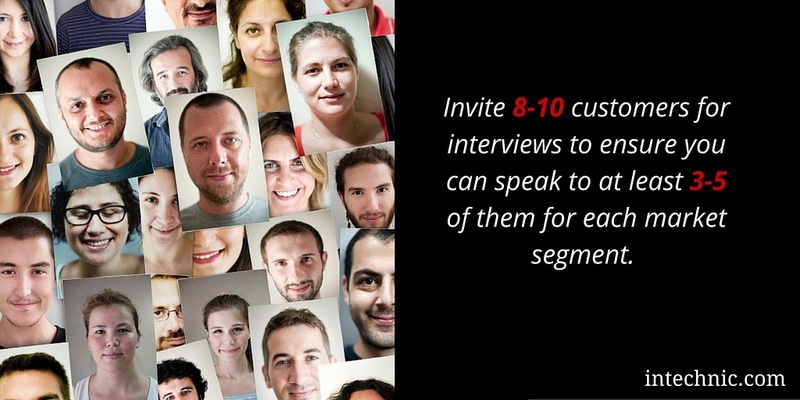 Identify at least 8-10 High Value Customers that you would like to interview from each segment within your market. Inviting 8-10 interviewees per segment should translate into 3-5 interviews, as some will not be available and some may not respond to your invitation. You don’t want to skew your research by interviewing only one segment. For example, if you are a clothing company that sells both men and women’s clothing, it would make sense to interview a good representation of both groups. Your next step will be to identify decision makers and influencers within each customer group to ensure you have a good representation of both. Decision makers are those who have the power to make final purchase decisions, whereas influencers are advisors to those making the decision. It is important to identify these roles either before or during the interview. Both decision makers and influencers have power to affect the purchasing decision. It is important that you recognize these roles and adjust your user interviews accordingly. For example, if you identify someone as an influencer, ask who the decision maker is. If you can speak with them, as well, you can better understand the dynamic of their relationship as it pertains to making buying decisions. 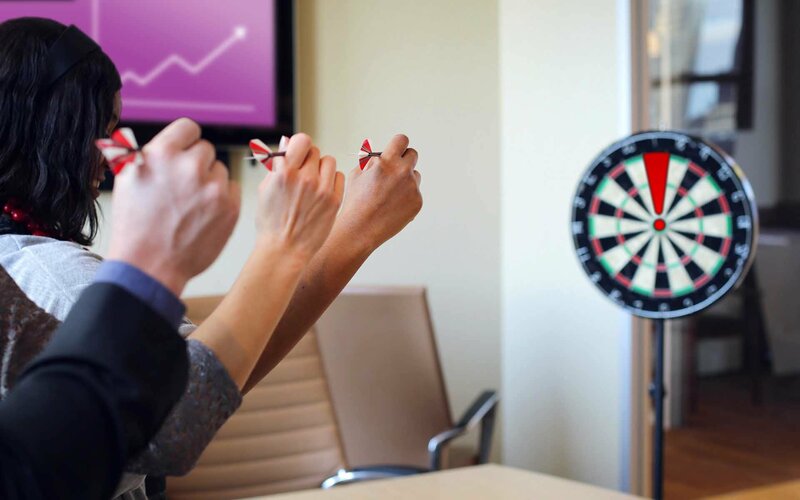 Needs, pain points, and goals – What motivates the user to look for a solution? Research methods, findings, and frustrations – How does the user go about gathering all information necessary to start weighing options? What road-blocks do they encounter? Selection criteria (including who influenced them and how) – How do they go about making the decision? Decision process and outcome – What decision was made and how does the user feel about the process and the outcome? 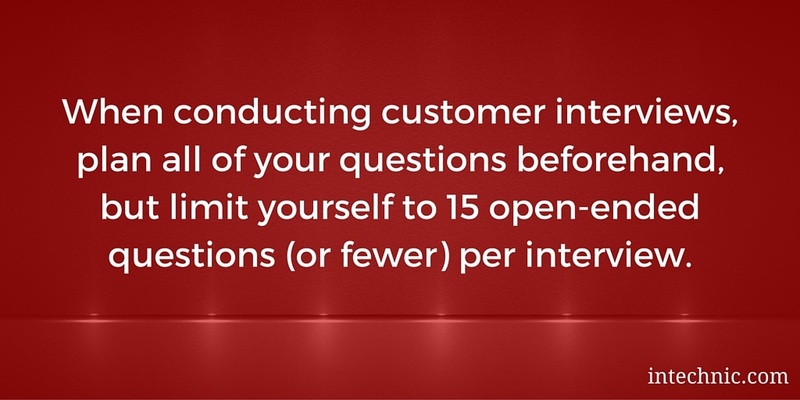 Feel free to download our Customer Interview Questions Template that we use here at Intechnic. It includes examples of what questions to ask, helps you organize your interview findings, and prepares you to develop buyer personas – the next step in the development process. 1. Choose a time when you’re not busy. Whether your interviews are in person or over the phone, you won’t want any distractions. Also remember to reserve a quiet place ahead of time, where you can conduct your interviews without interruption. 2. 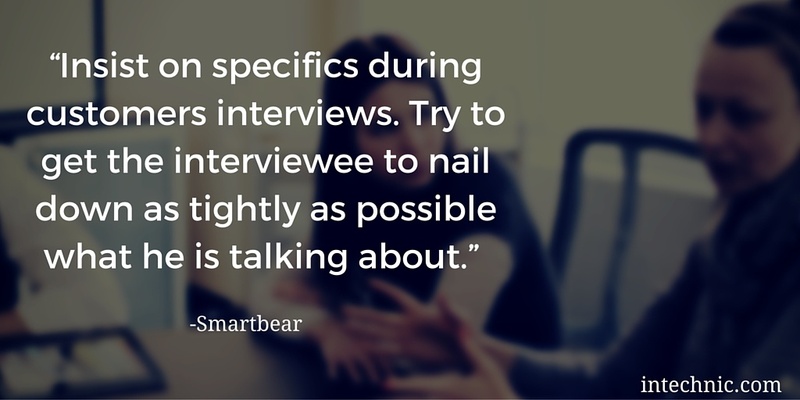 Prepare your interviewees for how long the interview will last so they can plan accordingly. A typical interview shouldn’t last longer than 30 minutes. Don't schedule interviews back to back in case things run over. 3. Follow up with a brief confirmation call the day before the interview. Provide directions to the interview location or instructions for phoning in. You don’t want to lose an interview because of miscommunication, confusion, or technical difficulties. Also, offer your contact information in case your interviewee needs to reschedule. 4. Once you’ve successfully scheduled a user interview, create a file for each participant. You’ll want to keep track of your interviewee’s name, contact information and other important details. Find out as much information as you can before the interview from online sources (such as LinkedIn) and ask your sales and customer service departments for insights into customers. 5. Offer an incentive to show your appreciation for their time and effort. This doesn’t mean a promotional gift, which may be viewed as self-serving, but something that acknowledges your thanks for their invaluable input. Something between $50-100 has become the standard. Now it’s time for the big moment – the interview! Ideally, you will meet with your customers for in-person interviews. If this is not an option, phone or Skype interviews are still much better than no interviews at all. Allow each interviewee to answer in their own way, but pay close attention so that you can gather good details. Build rapport and trust. People generally love to talk if they feel supported in sharing what they truly think. Spend a majority of the time listening and only speak to probe deeper or clarify. There are too many other user interview recommendations to include in this guide so I’ve written a separate article: Best Customer Interview Tips and Techniques from User Interview Expert. Please review these recommendations before your interview. While you’re interviewing, listen for patterns. Déjà vu will definitely hit you the more people you interview. After you’ve completed all website user interviews, you’ll spend time looking for commonalities (to apply to your marketing strategy) and, trust me, they will emerge. You should document all of your interviews to the best of your ability. Recorded video or audio is ideal because you can revisit your interviews and potentially discover new intricacies or take time to study body language or intonation (more about this later). Some of our go-to recording tools are Skype, GoldWave and iSound Recorder. Of course, always make sure the interviewee knows they are being recorded and ask for a signed release. If you cannot videotape or record audio, take extensive notes. Before ending the interview, be sure you’ve covered all your bases or core topics but also ask, “Do you have anything you’d like to add or discuss in more detail? Is there anything I didn’t ask?” This is where allowing for extra time comes in handy. Also, don’t forget to thank them for their time! After the interview, compile all of your interview notes so that you can review them later. Our customer interview template is a great way to keep all of your notes organized for easy reference later. Website user interviews take time and preparation. If this sounds like too much of an undertaking, consider hiring a third party agency to conduct your interviews. Don’t skip over any of these steps as doing so may potentially result in inaccurate or misleading information. After you’ve concluded your customer interview process, there are some additional steps to turn that valuable information into a useable guide to apply to your website marketing strategy. The logical next step is to create buyer personas. 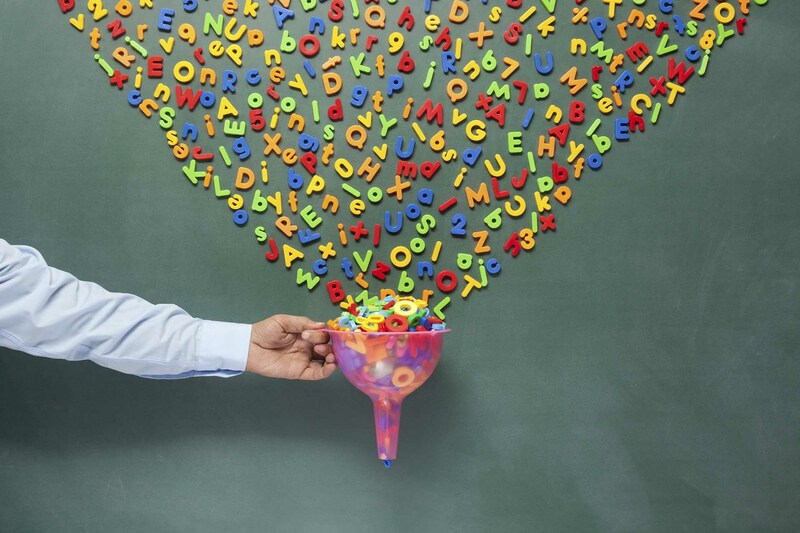 We’ll show you exactly how to do just that in our article, “How to Create Buyer Personas”. To ensure that your marketing strategy and your website are in sync, you must keep a pulse on your customers. 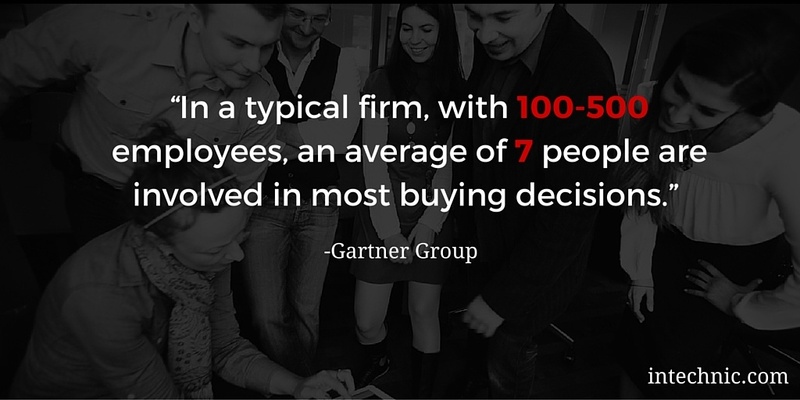 But, just like you, your markets and your customers will be changing and evolving. 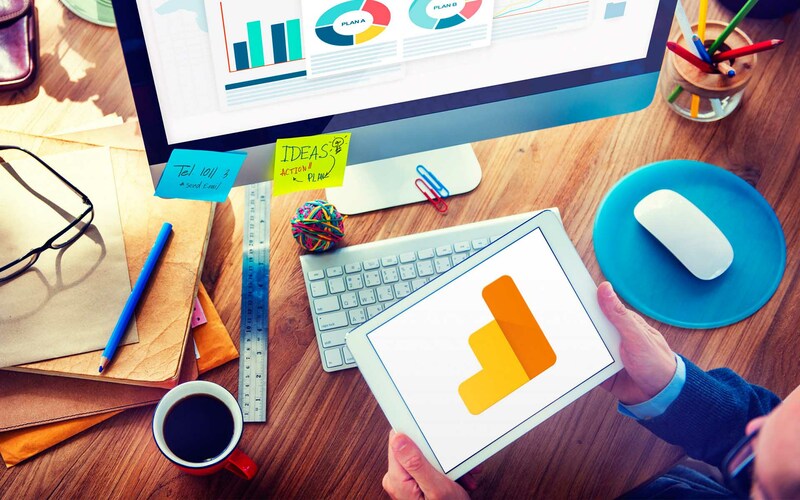 Therefore, you must continuously interview your customers to track those changes. 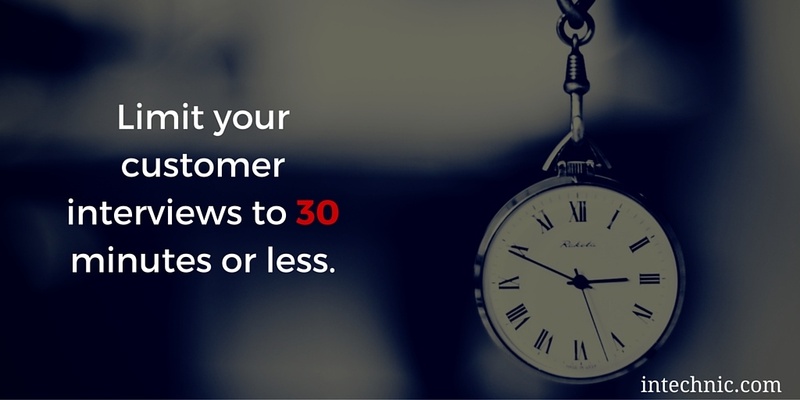 At a bare minimum, I would recommend speaking with 3-5 customers every 6 months. This will help you verify that you are still on the right course with your marketing efforts and, if not, identify potential red flags.